I felt like putting up something for everyone to check out, since I haven't been very active recently. This is an older piece, from last year, but I figured you all might like it, so here ya go! 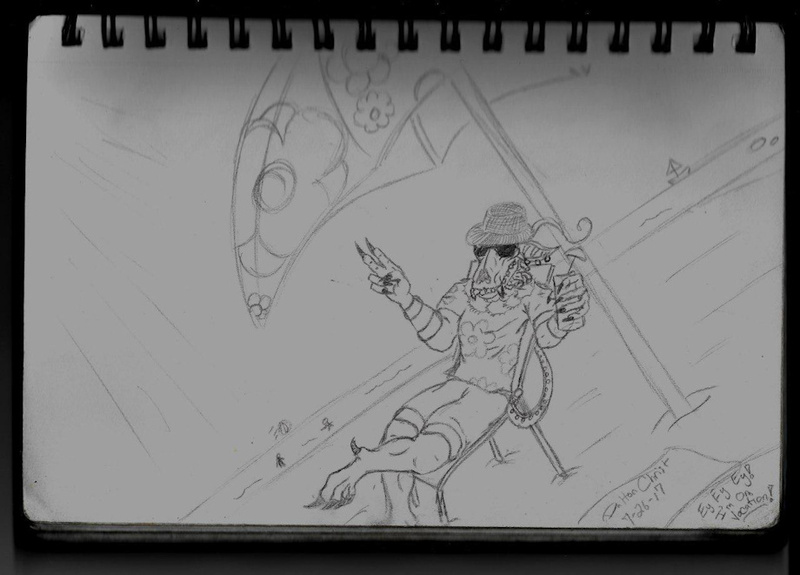 Sledge is on vacation, and living it up! "Ey, Ey, Ey - I'm on vacation - Every single day, cause I love my occupation!"